This was probably written by Claudia Black or Janet G. Woititz . It's a good description of the struggles an Adult Child of an Alcoholic faces in life. We either became alcoholics ourselves married them, or both. Failing that, we found other compulsive personalities, such as a workaholic, to fulfill our sick need for abandonment. 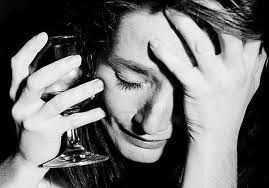 These symptoms of the family disease of alcoholism or other dysfunction made us 'co-victims', those who take on the characteristics of the disease without necessarily ever taking a drink. We learned to keep our feelings down as children and keep them buried as adults. As a result of this conditioning, we often confused love with pity, tending to love those we could rescue.